Many people have written to me over the years expressing their dismay at the sorry state of restaurant wine. Usually they complain about high restaurant prices and ask how they can possibly be justified. They are seldom satisfied with my answer — restaurants charge high prices because people will pay them. Now, however, the critique has shifted to the wines themselves and what they reveal about wine in America. What Does American Really Drink? My recent post on “Olive Garden and the Future of American Wine” (see previous post) seemed to catch many wine enthusiasts by surprise. It reported data from Restaurant Wine magazine for the best-selling wines in American restaurants as determined by distributor “on-premises” shipments. This data, based on volumes shipped to all “on-premises” establishments in 2008, reveals that when America goes out it drinks a lot of White Zinfandel, Pinot Grigio and (gasp!) “Chablis.” Only one red wine made the top 20 list: Yellow Tail Shiraz. The complete list of the top 20 brands is dominated by America’s three largest wine companies with three brands each from Constellation Brands (Woodbridge, Taylor California Cellars and La Terre), Gallo (Copper Ridge, Barefoot Cellars and Ecco Domani) and The Wine Group (Franzia, Inglenook and Almaden). These three giants have large brand portfolios and strong distribution machines. They get their wines into every nook and cranny, both retail and on-premises sales. You can see the results virtually everywhere. Only 4 of top 20 are international brands (Yellow Tail, Cavit, Ecco Domani and Mezzacorona). I think the fact that three of these four are Italian wine brands says something about the importance of Italian restaurants, including especially Olive Garden, in the American wine market. The Restaurant Wine data give us one picture of the market, Wine & Spirits magazine’s annual restaurant report (April 2009 issue) provides a different (and perhaps more comforting) image. 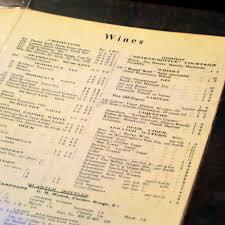 W&S asks a group of wine-focused restaurants to report which wines are on their lists — now how much they sell, but which ones are on offer. Since wines don’t stay on lists long if they don’t sell, this is an indirect measure of availability and popularity, although it isn’t the same as as volume rankings. Here is the W&S top 10 for 2008. Sonoma-Cutrer is #1 on this list, yet it appeared on only about 14% of the surveyed wine lists (and, as noted above, there is no indication of how much was sold). Only one winery appears in both top 10 lists – Kendall-Jackson. Only two other wineries appears in both top 20s – Beringer and Chateau Ste. Michelle. Gallo and The Wine Group are missing from the W&S top 20, although Constellation Brands makes the list through Robert Mondavi. Looking over the data, I find myself especially impressed by the performance of Kendall-Jackson and Chateau Ste. Michelle. Both makers seem to combine wide distribution with a range of wines at attractive price points. It isn’t surprising that they rank high on both lists. Perhaps other producers will try to emulate K-J and CSM, especially given this tough economic climate. If the first list of restaurant wine brands depresses you, then ignore it and focus on the second list, where White Zin is much harder to find, but don’t get too smug. Remember that there are many markets for wine and that the US is no different from other countries in this regard. Compared to Germany, in fact, much more fine wine is sold here and proportionately less of the bulk product. For myself, I see a glass half full. My experience working with college students who study wine is that the inexpensive wines serve a really useful function of introducing students to wine and diverting them from beverages that are more closely associated with binge drinking. Although some White Zin drinkers suffer from arrested development and never move beyond it, I am persuaded that many do. Every staircase, no matter how high it reaches, needs a bottom step. We have a broad first step in America — no surprise there — but I think it is a step up. Economists joke that data usually come in one of three forms: the incomplete, the inaccurate and the forthcoming. No wonder we are such unreliable oracles! Wine economics data generally takes one of three forms, too: highly processed statistics, persuasive but unscientific anecdotes (bloggers are a big source of these) and public reports, such as newspaper and magazine stories. Each type of data has its uses and each has its weaknesses. The wine economist’s job is to try to piece them together to get a reasonably accurate picture of what’s going on. This post tries to do just that — I use a recent statistical release, a personal anecdote and a magazine report to reveal an outline of some of the ways the economic crisis is affecting the wine market. 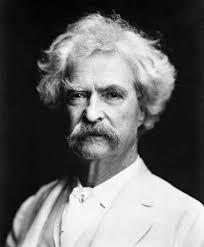 There are three kinds of lies, Mark Twain said, and statistics are the worst of them. They can be pretty useful, however, if you know how to handle them. The Global Drinks Market: Impact Databank Review and Forecast has just released data about worldwide wine consumption and the news is a bit grim. Global per capita consumption of wine was down in 2008. At 3.5 liters per capita, the global average is a full liter per person per year than in 1990. A close look at the data indicates that the falling average is the net effect of two opposing trends. Wine consumption in the New World continues to grow in volume terms (the increase in terms of value is somewhat less due to the on-going trading down effect). At the same time wine consumption in the Old World, where both production and consumption are still the highest, has fallen off the table (also continuing a trend). New World consumption is rising, but not enough to compensate for falling Old World demand. The falling per capita average is real, but it masks somewhat an even more important trend — a fundamental global restructuring of the wine world. Until recently, overall wine consumption was growing, thanks to emerging markets. But the recession has depressed total consumption as well. The United States still represents tremendous potential for the world wine market—Americans consumed an average of only 9 liters per-capita last year, compared to 51 liters and 44 liters, respectively, for the French and Italians. Canada, Chile, South Africa and Australia have all enjoyed steady consumption growth also, as have the emerging markets of India, Taiwan, South Korea and Norway. But China will probably account for much of the future growth in global wine consumption, as the Chinese drink less than a bottle of wine per person annually. The financial crisis has slowed down this growth momentum somewhat, but huge opportunities still abound, especially for large multinational wine companies doing business in China. I remain suspicious of the potential of the Chinese market, especially in the short run, but I agree with the gist of this. When examined closely, the data tell an interesting story. Anecdotes are a second source of wine market information. Anecdotes are dangerous because, while they are usually more casual observations rather than rigorous studies, people find them incredibly persuasive. It is their personal nature that is so appealing, I guess, and the fact that you can dine out for weeks on a really good story. A good statistic or table of econometric results (sigh) just can’t compare. My anecdote is about a particular wine, Leonetti Cellars Merlot. Leonetti is an iconic Washington State wine producer. The conventional wisdom is that you cannot buy it — they sell out every year to insiders, people say. The Leonetti Cellars website hints at this without saying it. The “mailing list,” it says, is full. There is a waiting list to get on the waiting list, but it will probably take 5-8 years to get to top of the wait list. Many people tell me that iconic wines like Leonetti are recession -proof because they are so hard to get that there will always be a market for them. So (here is the anecdote) I was a bit surprised to see Leonetti Merlot advertised a few weeks ago in a Wednesday supermarket ad for a local upscale farm store. Yup, we’ve got it, the wine buyer told me — want some? We’re even doing a tasting later in the week, she said. Further conversations with my wine business friends suggest that Leonetti (and some other “impossible to buy” wines) have often been available, although they are a bit easier to come by now. You just have to ask. I suspect that some wine distributors find themselves with more high priced wine that they would like to carry in stock right now, especially with restaurant sales slumping in many areas, and the surplus is filtering down the distribution chain, even showing up on farm store shelves. It’s only a story, but it suggests that the economic crisis is hitting wine producers even at the top of the ladder. And the grocery store ads that arrived today (anecdotally) back this up — they feature more hard-to-get wines and, unlike the Leonetti case, they are being sold below their release price! R.H. Phillips Winery is being shut down by its parent company, Constellation Brands Inc. The Victor, N.Y.-based company, which also owns the Robert Mondavi Corp., is the world’s largest wine company with annual sales of 95 million cases of wine. R.H. Phillips Winery’s 1,700 acres of vineyards, in the Dunnigan Hills area of Yolo County, will remain under the ownership of Constellation Brands. RH Phillips and Toasted head wine will still be made, but production is being shifted to the big Mondavi plant in Woodbridge, which apparently has some excess capacity. A big loss for the local community, apparently, and an opportunity to save cost through consolidation for Constellation. What does this article tell us? Well, it is more like an anecdote that a statistic in that it reports just one story that may or may not be representative of the broader population. It tells us, I think, that the weak wine economy is putting pressure on even the largest players to cut costs and increase efficiency. The wine recession is affecting the entire market, not excluding Toasted Head and RH Phillips, wines that sell in the intensely competitive $8-$12 range. It is pretty hard to prove anything with wine economics data but sometimes you can use a combination of statistics, anecdotes and news reports to sort of surround a question. The three stories I’ve reported here don’t prove anything, but taken together they suggest that the wine recession is being felt globally, nationally and at the local level and at every shelf on the wine wall. The wine recession is real. Restructuring is already under way. Or is that just a rumor, too?